Liquid Therapy Made July Great Again! Work started on the 14 Court St. Unit B space July 9th. Working with the Nashua maintenance crew, it’s been a decent partnership. Walls have been erected and partially sheetrocked. Construction on the all-important bar is in full-swing. We also gained some great press during the last week of the month. A big thanks to Adam Urquhart, the team at the Nashua Telegraph, and high school classmate, Kerry Miller for being the catalyst to getting us together. It even went national, being picked up by the Associated Press. Work with our last two remaining subcontractors to finish HVAC and fire suppression. Button up our walk-in coolers, and finish any remaining walls with sheetrock and FRP. Dinner on Main St. where we are working together with some great people to offer our beer paired with some amazing food, and potentially some dessert also made with our awesomeness. 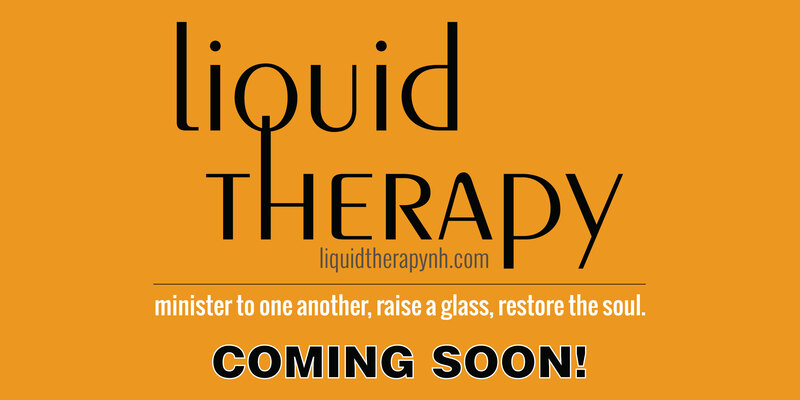 When Will Liquid Therapy Open? Well, if all stays on track, we look forward to serving the community of Nashua on October 1st. We will keep you up to date as the time gets closer! Thanks to all of our supporters who have stopped by, reached out via social media, or stopped me in passing. It’s been amazing! I can’t forget Keith at Peacock Players. He’s been a wonderful neighbor and we both look forward to having a beer with you when the time comes.